Chanterelle mushrooms are small to medium in size with the ability to weigh up to two pounds and are convex in shape with a wavy cap connecting to a dense stem. The cap is smooth, delicate, and gold-orange with irregular, uneven edges that are thick, blunt, and taper down. Underneath the cap, the gills have forked ridges with blunt edges and these ridges run down the matching gold-orange, firm, thick, and solid stem. When snapped in half, the flesh of the mushroom will be pale white and have a fruity aroma with notes of apricot and peach. When cooked, Chanterelle mushrooms are chewy with a velvety consistency and have a woodsy, earthy flavor with hints of mild pepper. Chanterelle mushrooms are available year-round, with a peak season in the fall. Chanterelle mushrooms, botanically a part of the genus Cantharellus, is a generic descriptor used to describe many different species of wild Chanterelle mushrooms, with the Gold Chanterelle or Cantharellus cibarius being the most well-known. 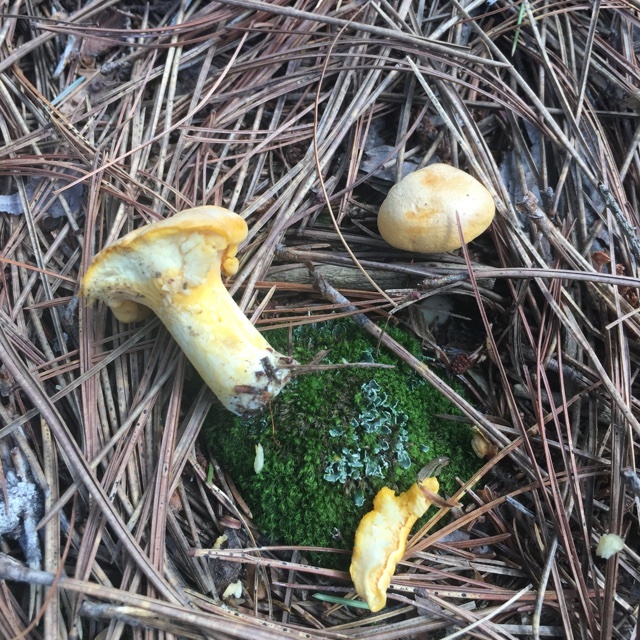 Chanterelle mushrooms are found across the world and grow individually on forest floors near trees such as maple, poplar, birch, or oak and may also be discovered in fields. They are only found in the wild and are unable to be commercially cultivated due to the lack of flavor when trying to recreate the symbiotic relationship between the fungus and the host plant. 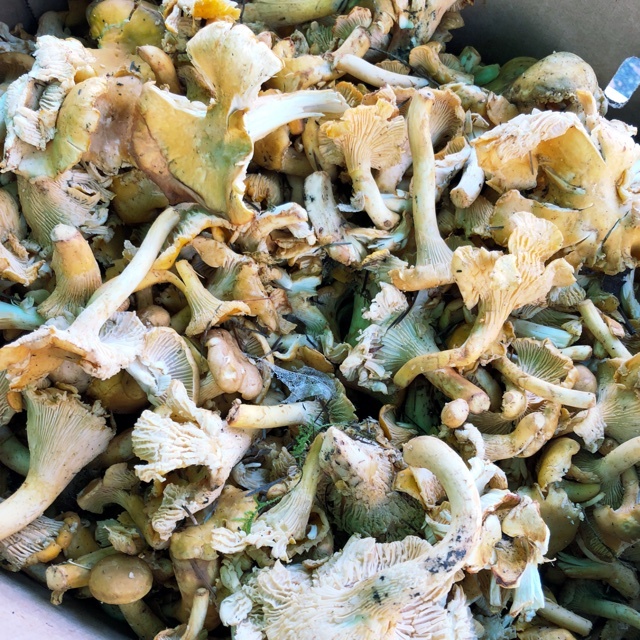 Often considered a luxury culinary ingredient, Chanterelle mushrooms are favored by chefs for their fruity scent and chewy texture and can be used in a wide array of culinary applications. Chanterelle mushrooms contain high amounts of ergocalciferol, more commonly referred to as vitamin D2, which helps the body absorb calcium. These meaty mushrooms also contain significant amounts of protein, vitamin A, potassium, iron, chromium and eight essential amino acids. Chanterelle mushrooms are best suited for cooked applications such as sautéing, boiling, and frying. Wild mushrooms, such as the Chanterelle, are generally meatier and stronger in flavor than cultivated mushrooms and work well in pasta served in butter or cream sauces, sautéed with other wild mushrooms, or cooked and served with cured meats, cow's milk cheese, or onions and garlic. They can also be served over rice, pickled, baked into puffs or biscuits, layered in burgers, mixed into stew or soups, or baked into a quiche. Chanterelles are very sponge-like, so be careful not to waterlog them as it will be difficult to allow their best attributes to shine if they become too wet. Chanterelle mushrooms pair well with meats such as chicken, pork, veal, rabbit, quail, and eggs, seafood such as oysters, scallops, and prawns, spinach, radish, artichokes, coleslaw, parsley, marjoram, bay leaves, garlic, onion, shallots, pine nuts, chicken broth, white wine, dry sherry, red wine vinegar, and parmesan cheese. They will keep up to a week when stored in a very dry container in the refrigerator. Chanterelle mushrooms have been a delicacy in cultures across the world and are known by many different names. The name Chanterelle comes from the Greek word “kantharos,” which means vase. In Russia, Chanterelles are called “lisichki,” or little fox. They are also highly prized in Germany, known as “pfifferlinge,” where more than two thousand tons of the mushrooms are received in barrels of brine. 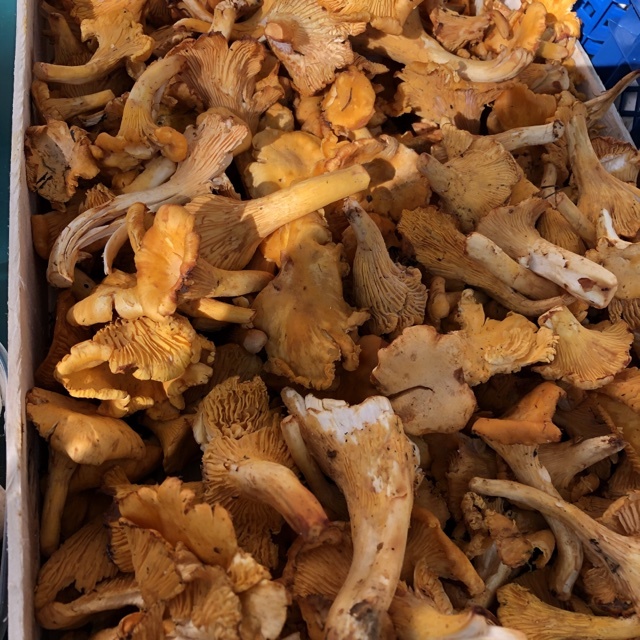 In addition to countries in Europe, the British Columbia Thompson First Nation people call the golden Chanterelle mushrooms “little fish gills” and are often eaten alongside salmon or dried for extended use in soups and stews. Chanterelles thrive in temperate forests around the world and have been growing wild since ancient times. Today many different species can be found at farmers markets and specialty grocers in areas of the United States, specifically along the West Coast, and in Canada, Mexico, Europe, Africa, and Asia. Recipes that include Chanterelle Mushrooms. One is easiest, three is harder. 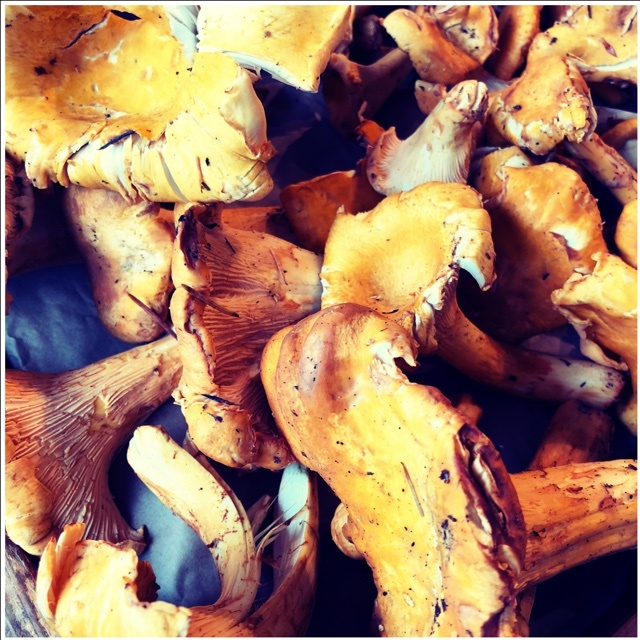 People have shared Chanterelle Mushrooms using the Specialty Produce app for iPhone and Android. Sharer's comments : Chanterelle Mushrooms spotted at costco 1023. Sharer's comments : Chanterelle Mushrooms spotted at Bastille Market Paris . Sharer's comments : Chanterelle Mushrooms spotted at Amicon State Park . Sharer's comments : Chanterelle Mushrooms spotted at First Alternative Natural Foods Co-Op. Sharer's comments : Chanterelle Mushrooms spotted at Pike Place Market. Local, just foraged - Giant Chanterelle's! 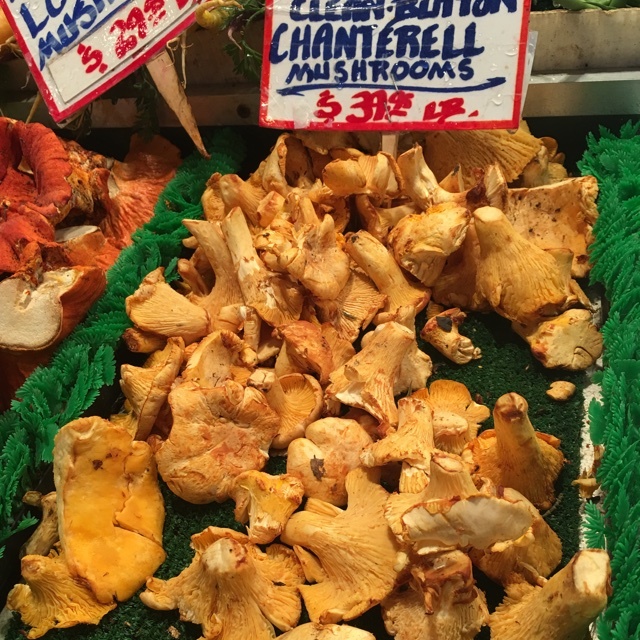 Sharer's comments : Chanterelle Mushrooms spotted at Pike Place Market.